Southwest Airlines canceled all of its 220 flights from Chicago’s Midway International Airport on Sunday due to a shortage of de-icing fluid. 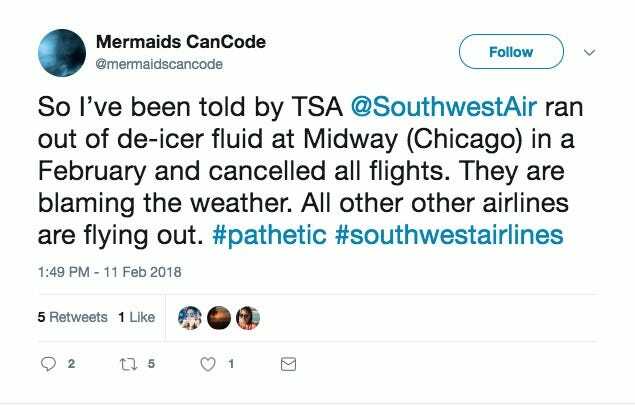 Over 250 total flights from the airport were canceled. 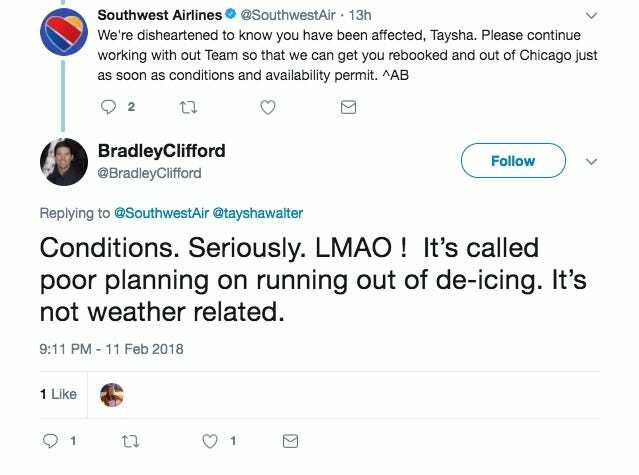 The airline said it “expects to operate a close to normal schedule” on Monday. 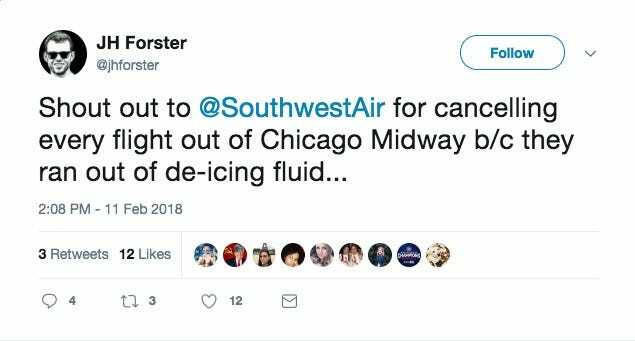 Southwest Airlines canceled all of its 220 flights from Chicago’s Midway International Airport on Sunday due to a shortage of de-icing fluid, the airline confirmed to Business Insider. 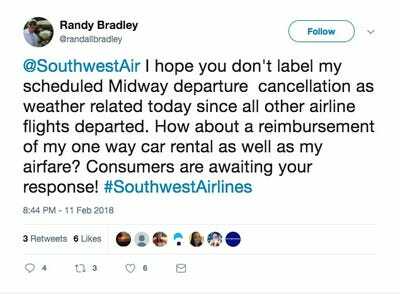 The airline also said it “expects to operate a close to normal schedule” on Monday. 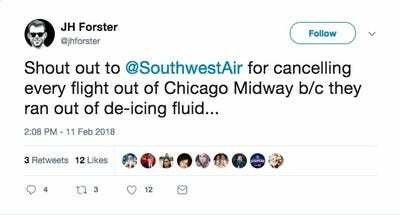 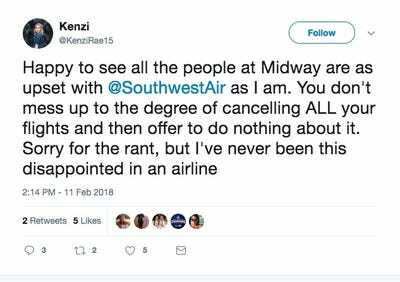 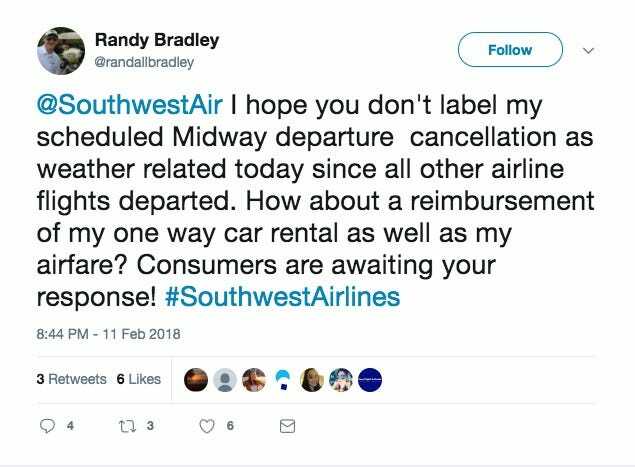 While Southwest accounted for the majority of cancellations at Midway on Sunday, the airport said over 250 total flights were canceled due to “winter operational issues” on Twitter. Chicago has seen nine consecutive days of snowfall, according to the Tribune, which matches a record for the city since the National Weather Service began keeping records in 1885. 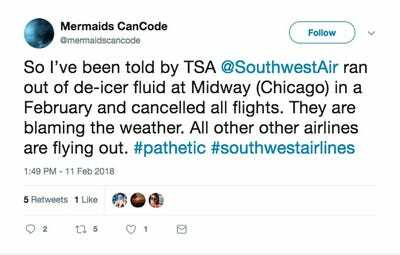 Southwest faced similar problems in December, the Tribune reported, when it canceled around 90 flights due to difficulties de-icing its planes.